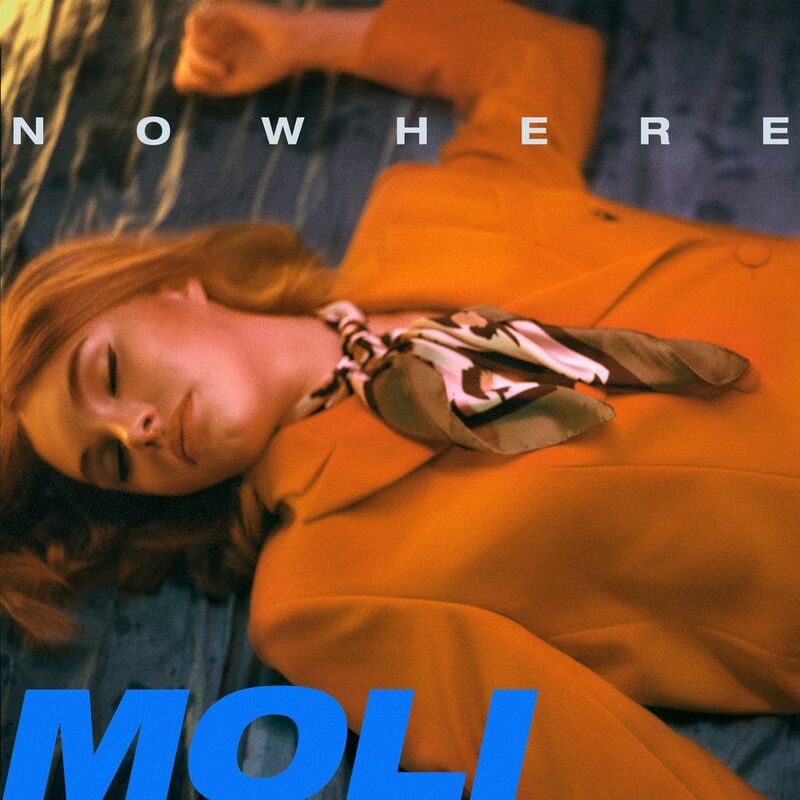 Moli is a 20-year-old Berlin-based, Belgian singer-songwriter with a charmingly accented voice like melting plastic, who makes vulnerable, sweet and sour pop. She can freeze her instrument into a brittle falsetto, then soften it into a soulful, sultry dripping substance that snags on every syllable with grace and agility. Her hybrid of fleshy retro soul and synthetic modern pop is what makes someone like NAO so memorable — and what makes her new piece dance-pop candy "Nowhere" so delicious. The single, which PAPER debuts today, comes on the heels of the singer-songwriter's 2018 debut EP Resume. She sings coyly about "stopping low," willingly walking down the road of a relationship "going nowhere" over tropical, snaking beat. Her falsetto blends into soft glowing synths and xylophone taps on the chorus, building up to a climactic, belting ultimatum, that smokes back down into the flirty dancing beat. Dressed in a Twiggy-esque feathered shift and oversized suit, she pouts, poses twirls her hair, and walks and walks while, nodding to the song's theme, getting nowhere (an effect her Instagram reveals, produced on an out-of-site treadmill). It's a danceable bop that hides melancholy and confusion in its twirls and flirtations. "'Nowhere' is about making the same mistakes and being aware of it," Moli explains. "It's about emotional dependency and hopeless frustration. Not being able to pull yourself out of a situation that you know can only end badly." "I felt very strongly about someone who kept coming back into my life and being ambiguous but it never went anywhere. I was getting very frustrated by it all but also was hopelessly holding on to the idea of it maybe working out. It came about very naturally, I was in a session with the producer LO and my songwriter friend Aaron Fyfer telling them about it and that's how 'Nowhere' was born."